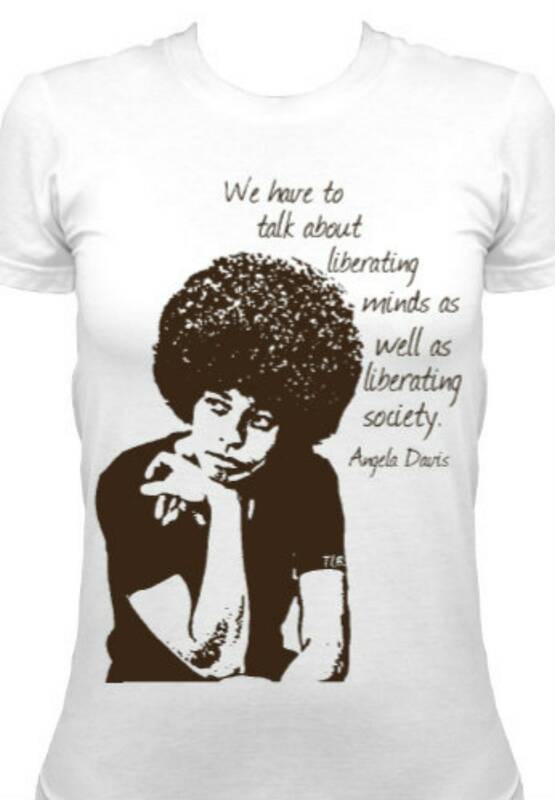 One of my favorite quotes from Comrade Angela Davis: "We have to talk about liberating minds as well as liberating society"
I believe this is a junior fit tee. I ordered the extra large but should have ordered a 2XL. The color is beautiful and the screen is nice but order up....way up. I may try and order again. Le tee-shirt est superbe avec une femme d'action qui fait honneur.